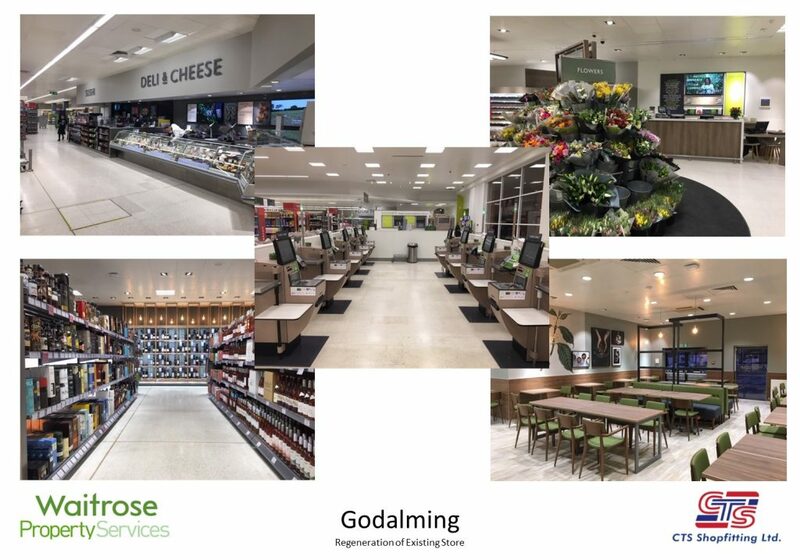 Today we are proud to handover Waitrose & Partners Godalming. The 3 week project has seen us upgrade the entire sales area to new spec finishes, a new welcome desk, new digital signage, new beers and wines area, new ceramic tiling finishes on the sushi and bakery counters, a brand new self serve bakery experience and a refreshed payment area with introduction of additional self checkouts and a full LED lighting rollout. The cafe has been transformed into a larger, modern feel space with increased seating areas; It looks fantastic and the customer toilets are brand new with the latest eco sanitary ware and finishes. We’ve decorated the externals, relined the car park and also had to introduce new structural steelwork and glazing elevated above the main entrance to carry the signage. See the LinkedIn post here.